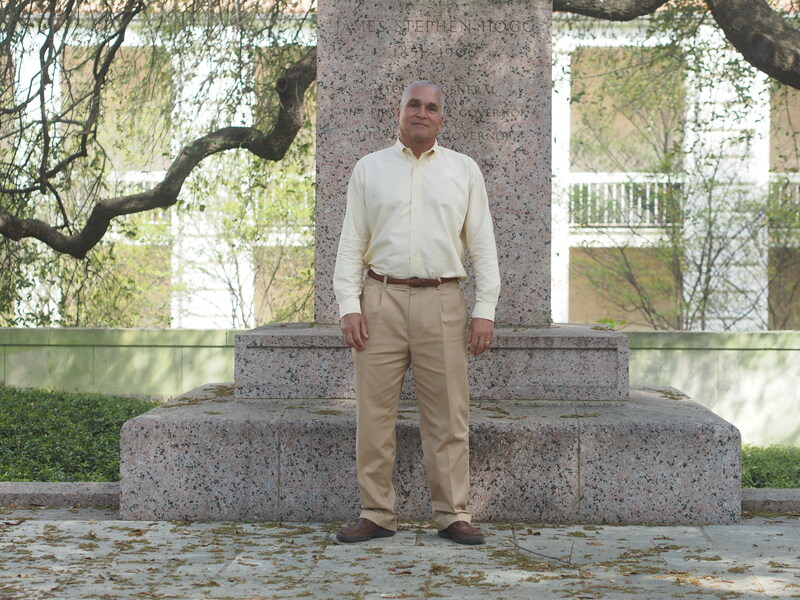 For almost two decades, Ted Gordon has been leading tours of UT Austin that show how racism, patriarchy, and politics are baked into the landscape and architecture of the campus. This month, that tour goes live online. In honor of the launch of the new website, “The Racial Geography Tour,” we are featuring an interview Joan Neuberger conducted with Prof. Gordon last week. JN: Let’s start with the origins of the tour: when and what made you want to start? And you’ve been doing it on and off for a while. What kinds of responses have you had? Do people come up to while you’re talking and engage with you? Sometimes they do, absolutely have people who join the tour as I’m doing it, and ask if they can follow along and certainly I have a lot of eavesdroppers and folks like that. Almost all the responses I get from both onlookers and people who are on the tour has been positive, well I know this to be the fact, that not that much readily available history of the campus and also not many tours of the campus itself that are available to folks outside the ones that are given to prospective students and all that, so I think there’s a fair amount of curiosity among students and others about the environment that they’re walking through on a day to day basis, so people seem to enjoy hearing about that and they want to know more about it. There’s a lot in the ordinary (prospective) tours that the tours don’t go into — history of the tower, the kind of history that you’re talking about. What made you want to put it online? There’s a couple of things that made me want to put it online. Well, it wasn’t my idea first of all. The idea came from a young person who was working with us up in African and African Diaspora Studies, she was the electronic specialist or something like that and at any rate she was also the person who was helping me with my calendar, and helping to schedule the tours that I was doing, and she saw that the demand for the tour was becoming larger and larger and it was taking up more and more of my time, and then she also has this kind of digital and media background and thought it might be a good idea, and I think she was actually the one who got in touch with LAITS here and they jumped on it for whatever reasons, and that’s how it got going, so it wasn’t even really my idea. For me, really, it will help because I spend a lot of time giving tours. I gave 25 last semester, and it’s a large amount of time. I’ve got a lot of other things going on, and also people thought that it would be good to have it be available to a larger audience, and so that’s what’s behind it. So the tour begins at the Littlefield mansion. Why did you start there? Well, part of it is fortuitous. In recent years, my office was across the street from the Littlefield mansion, and so rather than having me hike some place else to begin, it seemed like a reasonable place to begin, but also it is the Littlefield Mansion. Littlefield personally had a lot to do with the origins of the University, but even more than that, the Littlefields positionality in Texas society is for me kind of indicative or emblematic of the folks who played the key role in the early years of the university, deciding that we need one and also serving the top positions in university, Littlefield’s biography in many ways really brings together a lot of forces that created the early university as it was. Plus there’s a building there that’s named after him, and it’s right across the street from the 40 Acres, so there’s just a number of reasons why it’s a reasonable place to start. And why did he stop farming cotton? Well the big issue for Littlefield and all the rest of these folks was the Civil War, and so he went off the fight the Civil War in 1861, was injured, he had his man servant/ slave there with him who rescued him on the battlefield after he’s injured, and brought him back to Gonzalez, Texas where he recuperated, but that was the biggest issue. So after the end of the Civil War, there’s a problem with labor. In other words, where do you get enough labor now that the enslaved folks are free to be able to carry out, but there’s also problems with disease and various other kinds of things, financial disruption after the end of the Civil War, in the time of reconstruction, so he finds it difficult to be able to rebuild his cotton growing operation and then stumbles on to cattle, longhorn cattle. And so he started raising cattle? 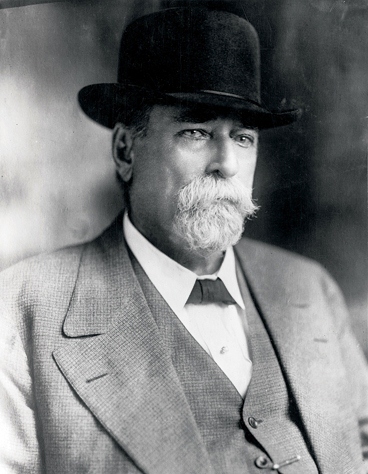 He had always been raising cattle as a side-line on his plantation, or in the area that he owned, but he discovered that by raising his own cattle and then buying cattle from neighboring farms and plantations and then driving them north to Kansas that he could make some money. I think his first drive was in the 1870s and he made a fair amount of money, and then from then on he didn’t actually drive the cattle himself, but he went into that business and became a cattle baron, owning property throughout central Texas, and up in the Panhandle, and in New Mexico, and west Texas, ended up controlling a huge amount of range land. And where did all that land come from? Well the land comes from, one of the things I talk about on the tour, is Littlefield was an ex-Confederate, and so in the period of time immediately after the Civil War, he was very much against what he would consider the invasion, the occupation of Texas by federal troops, but its those same federal troops and cavalry who were able to clear west Texas and New Mexico and particularly the Panhandle of the Comanche and other Native Americans who were there, which opened up that territory for people like Littlefield who would be able to exploit them, and then simultaneously, the massacre of the buffalo, over 20 million buffalo, created what Littlefield would see as virgin grass for his longhorns to feed on, and so it’s that kind of combined operation, plus the advent of the railroads pushing west from Kansas City, St Louis into Kansas that enabled them to make millions of dollars. There are rumors that there are slave quarters in the basement of the Littlefield house. 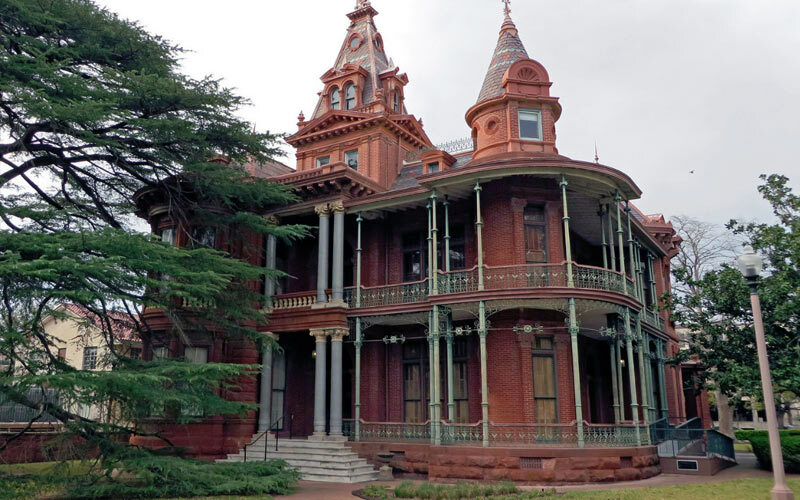 There are rumors, but of course the Littlefield house was build in the early 1890s, or he occupied it in the 1890s. That’s 30 years more or less after the end of the Civil War, so of course there were no enslaved people who lived in the house, however, ex-enslaved people did and we know that Nathanial Stokes who was his man servant, ex-slave, till the day he died. He lived in the carriage house, above the carriage house and stables in the back of the Littlefield house there, and so I think the quarters that exist in the basement of the Littlefield mansion were probably quarters for domestic servants and many of them were undoubtedly ex-enslaved people, and maybe even his own. So we’ve really just scratched the surface of Littlefield’s history, and let me just say at this point that there are additional resources on the website that go into more detail on everything that were going to be talking about. You move from the Littlefield house to what used to be call the Women’s Campus, and this also is a fascinating piece of history that I didn’t know anything about, and I’ve been here for a long time, so can you describe the women’s campus and its architectural layout, and what was significant about that? The original housing for women on campus was over by where the Flawn Academic Center is now, but in the 1820s, Littlefield in his will left money and a piece of property to build the Littlefield dorm, named after his wife, as a dorm for freshman women, and then in 30s the University decided to create other living spaces for women in that vicinity, Andrews and Carothers were I think both opened in 1935, and so they created a women’s side of the campus. The main building there that kind of defines the whole space is Gearing Hall, the Home Economics building and if there’s any question about who that’s for, there’s a sculpture of a women and child on the façade there. They also put in Anna Hiss Gym, which is a gym for women, as well as playing fields for women behind the gym, and tennis courts just to the south of the gym for women. So it’s an area of campus for women built behind, on the north side, of the Tower, and in the tour I talk about the symbology of having women outside of the public sphere, outside of, or on the opposite side of, the entrance to the University, and what that means in terms of the gendered ideologies of the time. You talk about how Gearing Hall was designed by the same architect, Paul Cret, who designed the Tower –the Tower’s our big administrative center, it’s the first building on campus, it is where the President’s office is housed now, the central library used to be there, it’s a big important tall building — and the same person who designed that designed Gearing Hall as a flat sort of circular building and the gendered nature of those two structures seems really clear, but you go further than that, and talk about the way they’re placed and the way the Tower even looks. Can you talk about that a little bit? Sure. The point I’m trying to make on that whole section of the tour is to talk about how it is that space is gendered and space in terms of location of things, but also the design, the architecture, the naming, etc. And if you look at both the way in which the original women’s dorms, if you think about Littlefield, Carothers, and Andrews — Blanton wasn’t built until 1955, so the honors quad is only formed in the 1950s after they put Blanton there. So it’s a U shape, an open U shape that faces to the gym, and then you have Gearing Hall which is placed right on the axis, the north-south axis behind the Tower, to the north of the Tower, where’s there’s no mall leading up to it, and it opens up, it’s a also U shaped as well, and has a gateway, which opens up to the south with the Tower looming up above it. So it’s clear to me that there’s a kind of receptacle aspect to the architecture of Gearing Hall and a phallic kind of aspect to the Tower as a seat of power and kind of the public symbol of the University, and very masculine in that kind of way, and so there’s a femininity and a masculinity about the way the architecture is designed and Cret [Paul Cret], was the main consulting architect for all those buildings, and either implicitly or explicitly the gendered aspect of it is very clear. And then you walk around to the west side of the Tower, which also has a really interesting history. The west mall is filled with these large planters and limestone walls, why was that? The west campus, pretty shortly after the university was opened in 1883 became an area of residence for, originally faculty members and students, now it’s mostly students. And if you look carefully at the west mall, and you look at the planters and you look at the trees there, you’ll see that trees are much younger than the trees on the south mall and so they’re about 40, 50, 60 years old. So if you think we’re in 2019, you go back 50 years and now you’re talking about the 1960s, the late 1960s — so on the west mall which leads to Guadalupe and west campus where students are on the other side, think about what students were engaged in, in the late 1960s. There was a lot of political activity, civil rights, anti-war, free speech, and all those things were in fine form here at the University of Texas, students used that west mall area as an area of congregation. There was a relatively conservative President of the Board of Regents, Frank Erwin, we’ve got the Erwin Center named after him, who was particularly incensed by the students’ intransience or their rowdiness in terms of their politics, and one of his ways of dealing with it was to order that the University convert the mall into what we have today, putting walls up and down Guadalupe, and putting planters in the middle of the mall, and planting trees and in other ways making it difficult for students, large groups of students, to access, to really control the access to the campus, and to discourage the assembly of students in that particular area. So it’s a politicized landscape, very pretty, but political . Lets talk about the statues on campus. Statues, everyone knows have been in the news, have been controversial politically. 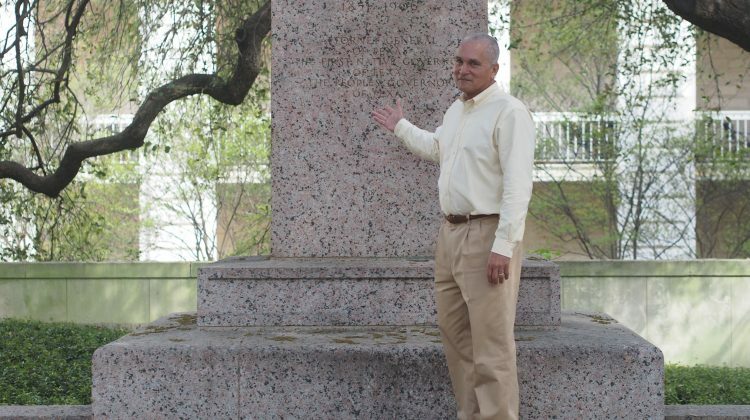 We have some new ones of civil rights heroes Martin Luther King Jr., Cesar Chavez, Barbara Jordan, and other statues are only marked by their former pedestals, so what’s that about? Could you talk about the statues? Right, so the statues were placed actually ultimately in the early 1930s, but George Washington Littlefield began thinking about having statues be placed on campus probably in 1915 or 1916. 1915, if you think about, that’s 50 years after the end of the Civil War. 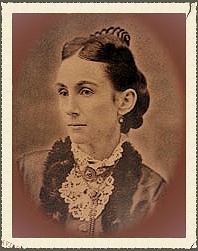 There are some historians who claim that Littlefield was the wealthiest ex-Confederate, and he was very active in the state of Texas and elsewhere in terms of trying to memorialize the Civil War and the folks who fought in it. And he was a very big proponent, as you were mentioning earlier, of the Lost Cause. In fact, he and John H. Reagan were some of the biggest proponents of that. The Lost Cause is an ideology which tries to say that the Civil War was fought to preserve the Constitution and the individual state’s rights to preserve what they considered to be one of the key aspects of the Constitution, which is the right to private property. So they want to make the claim that what the Civil War was about was a noble cause to enshrine and further the Constitutional rights that were originally granted; that the cause of the Civil War was not slavery itself but this issue over Constitutional and states’ rights within the context of the Constitution. One of the things that’s interesting, in the inscription that existed on the wall just to the west of the Littlefield Fountain, is an inscription that talks about Littlefield’s giving the money to construct this and one of the things it says is that the Civil War was fought for state’s rights and doesn’t mention slavery at all, so slavery gets disappeared. Littlefield is a very big proponent of that and so is J. H. Reagan. In fact, they played a major role in placing the Memorial to the Confederate Dead, which is at the entrance to the State Capitol grounds, which has Jefferson Davis as the largest figure there. Littlefield also, as a proponent of the Lost Cause, unlike other proponents of the Lost Cause who really looked to Robert E. Lee as the key figure in the Confederacy because he’s a less political figure and one who’s less identified with slavery than Jefferson Davis. Littlefield and Reagan were very big Jefferson Davis folks. So Littlefield gave the major part of the money for the Jefferson Davis memorial that’s up in Kentucky and he decided that he wanted to have Jefferson Davis as well as Robert E Lee, Albert Sidney Johnston, J. H. Reagan, and James Hogg statues built on campus as a memorial to the Lost Cause. And his original idea was to have a huge bronze arch that extended over the south entrance to the 40 Acres, with Jefferson Davis right in the center of it all. That got changed because there was some backlash, actually even before Littlefield passed in 1920. Littlefield put this idea and the money for it into his will. But there were people on campus who didn’t want as much of an association with the Lost Cause as Littlefield and some others did so there was some back and forth about that. So that’s when it was decided to add the statue for Woodrow Wilson. And also when it became clear, particularly after Littlefield’s death, that there wasn’t enough money in the will to build the entire arch, that’s when they decided instead of the arch to build the Littlefield fountain, which was a memorial to WW1. So the idea then becomes that there’s a Lost Cause aspect of it, which was what Littlefield’s original wish was, but there’s also a notion of national unification around WWI but also particularly around the presidency of Woodrow Wilson. Because Woodrow Wilson, of course, was a Democrat, a Southern Democrat. He also was a white supremacist. He resegregated the army, resegregated the federal offices in Washington, DC, wrote histories that were relatively sympathetic to the antebellum south and critical of Reconstruction. So this was the kind of figure that Littlefield but also the leadership of the University could get around. That’s the history of how that got placed. Of course the final placement was the same person, Paul Cret, who was the architect (of the Tower and Gearing Hall), decided that instead of having those statues at the very entrance to the University, to put them along the walkaway thereby tying the tower to the statuary and to the Littlefield Fountain and making of it a, well I have a relatively lengthy analysis of the white nationalist aspects of that whole tableaux, which I lay out in the racial geography tour. You also mentioned the MLK statue and those others. One of the things that is clear to me is that all these symbols speak to each other. 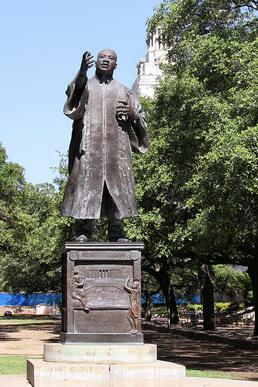 And there almost certainly would not have been a Martin Luther King statue on campus if those Confederate statues hadn’t existed and without a Martin Luther King statue on campus, we wouldn’t have had Barbara Jordan and we also wouldn’t have Cesar Chavez. So they all are in one way of another, in conversation with one another in interesting ways. And in conversation with the community, right?, because it was protest about Jefferson Davis that led to the erection of a statue of MLK. Yes, there were students in particular who thought not only Jefferson Davis but the rest of the Confederate statues were problematic. The University back in 70s was not about to move them, or in the 80s or in the 90s or do anything else about them, so one of the alternatives was to produce alternative symbology and that’s where Martin Luther King comes up. Now if you ask most people on campus if Confederate flags flew in prominent places at U.T. I think even people who really care about these things would be surprised to know that they did. So where were they and how did they fly under the radar for so long? Well they fly under the radar because most people don’t recognize the national flag of the Confederacy. What they recognize is what has been publicized since the 1950s and 60s, which is the battle flag of the Confederacy, which is St. Andrew’s cross. That became the kind of symbol of the rebirth of Ku Klux Klan, the white citizens’ groups at the time of, as part of the anti-civil rights and anti-Brown vs. Board of Education movements in the 50s and 60s. So most people don’t know the Stars and Bars as the Confederate Flag. That flag flew at least at two places. One was over the stadium over the scoreboard, and it also flew at the Erwin Center as part of Six Flags. Six Flags over Texas. Six Flags over Texas became an important symbol of Texas basically around the time of the Texas centennial in 1936. The Six Flags over Texas of course are Spain, France, Mexico, the Lone Star flag, the Confederate flag, and the United States flag. These are all the countries that Texas was under, one way or another. One of the things that the state of Texas was trying to do in the 1930s was to distance itself somewhat from the Lost Cause ideology, and to project itself as an American state, and as a pioneer state associated with American pioneering move west etc., and as a western state. And so in the sense that the United States was engaged in a struggle for freedom from previous colonial eras, Texas was positioning itself in that same kind of, using that same kind of notion of move towards progress, progress towards freedom, and independence, and so it emphasized its various associations on the way towards this America destiny of westward movement, and increased freedom, and progress, and all that. So within that context, the Six Flags over Texas became one of the key symbols of Texas and the Confederate flag was right there in the middle of it. There is still Confederate symbology here on this campus. If you go up to the Tower, which was erected at precisely that time, if you look on the outside of tower it says 1836-1936. The Tower was open in 1937, but it was still part of this Texas centennial celebration mode, and if you go up to the second floor and you go into what the main room used to be the university main library and now is the Life Sciences library, and if you look up you’ll see these big plaster cast seals for all the six flags, for all those six countries, and right there is the symbology of the Confederacy. And one of the things that people have no idea about and actually is represented by the fact there are two statues left on the south mall. Those two statues are the assemblage which is the Littlefield fountain and the other one is George Washington. So why is the George Washington statue still there? Well it’s not associated with the Confederacy, but if you go up to the second floor of the Tower and you go into the Life Sciences library and look at that symbol of the Confederate nation, who’s right there in the middle? It’s George Washington on horseback. So in some sense the Daughters of the Revolution who are paying for putting George Washington’s statue on the mall in actually 1930, it didn’t get up until 1955 or 1950-sometime. He’s put there as the father of two countries, he’s the father of the United States, but he’s also the father of the Confederacy and that comes out through this Confederate symbology of which the Confederate flags were part, from the 1930s up until when they were taken down, I guess a year and a half ago. Names of buildings are especially significant on campus, and you talk about a lot of different names, and naming, and changing of names, so let’s talk about some of those. First of all, the main library on campus, which everyone knows as the PCL, what does that stand for? That’s Perry-Castañeda. That library was open in the late 70s, in fact must have been 78 because they had their anniversary last year and I think both the Perry and the Castañeda families were present for that. That was quite an event. 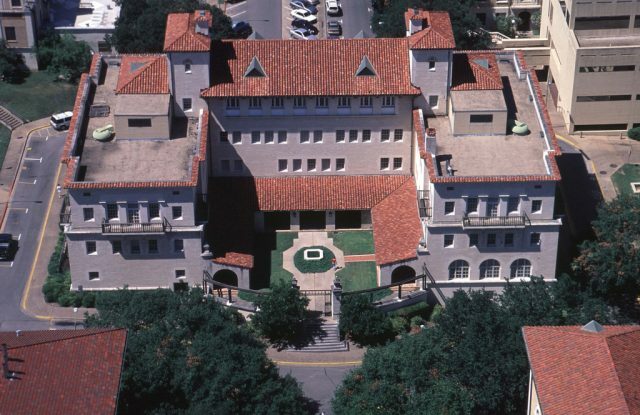 But yes that library was opened in the late 70s and named after Ervin Perry, who was the first African American who was hired in a tenure track position here at the University of Texas, in the School of Engineering. He actually went on to get tenure and then passed as an Associate Professor. And Carlos Castañeda had been an undergraduate, a Mexican American undergraduate here, and then I think he got his Masters, I believe he got his PhD here as well, came back as a lecturer and he taught for a while, and I believe he was associated with the Benson Library for many years. So that [main] library was appropriately named after a couple of the pioneers in terms of the integration of the University of Texas. And then in the other direction, if we move down to the hill to the Darrell K. Royal stadium, Darrell K. Royal is a hero to many people in Texas. Who was he, why was he celebrated, and what’s left out of the story? 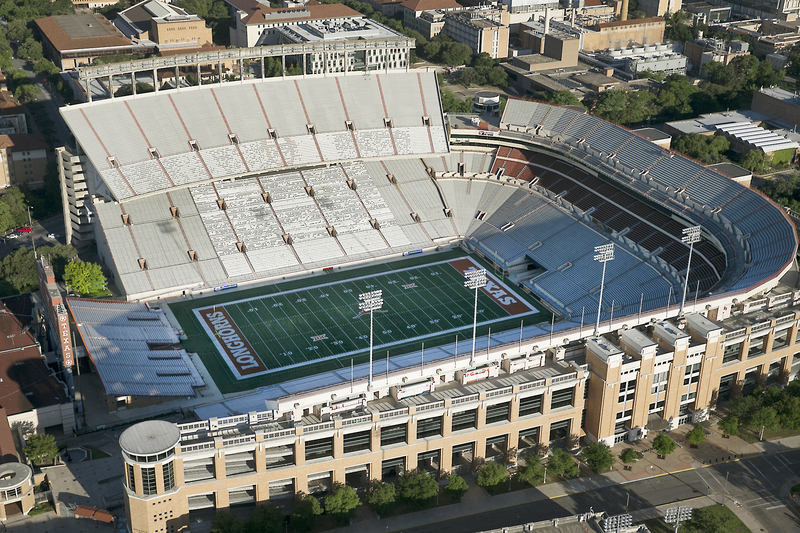 Aerial view of DKR Memorial Stadium on the Texas campus as seen on Sunday April 23, 2017. Darrell K. Royal was a very successful football coach, in fact, probably more people know about him and his success than they know about anything else. If you can’t name anybody else associated with the University of Texas, you can usually name either Earl Campbell or Darrell K. Royal. He won three national football championships as coach here, but what people don’t usually know is that his second, the one in 1969, has the distinction of being the last all white national championship football team. Darrell in later years claimed that he didn’t recruit any black folks for the team because alumni wouldn’t like it, which is probably true, but nevertheless, he didn’t, and there’s a movie about when the University of Texas at Austin was to play Syracuse in the Cotton Bowl and the University of Texas football team refused to play or allow Ernie Davis, who was one of the early black stars for Syracuse, to play in the game. There’s a whole movie about that. So racial segregation in Texas football or Texas athletics in general was pretty extreme, although to University of Texas’ credit, we were one of the first schools in the Southwest Conference to integrate. We had our first black track athletes were recruited in 1964, and finally in 1970, actually Julius Whittier, who just passed last year, was the first black football player at the University of Texas to play on a national championship football team, when the University won. But even the basketball team, Royal went on to be the A.D. for a number of years, the athletic director, and his [basketball] coach who eventually integrated the team, I have a quote of him saying that they didn’t have any black basketball players on the team because there were no black boys in the state of Texas who were good enough or tall enough to play. So in 1954 the Supreme Court decides the famous case of Brown vs. Board of Education and that prohibited racial segregation in public schools. U.T. responded in various ways, but one of the ways is architectural, and your tour takes us to sites of several dorms that were new in the 50s maybe we could talk about that for a bit. 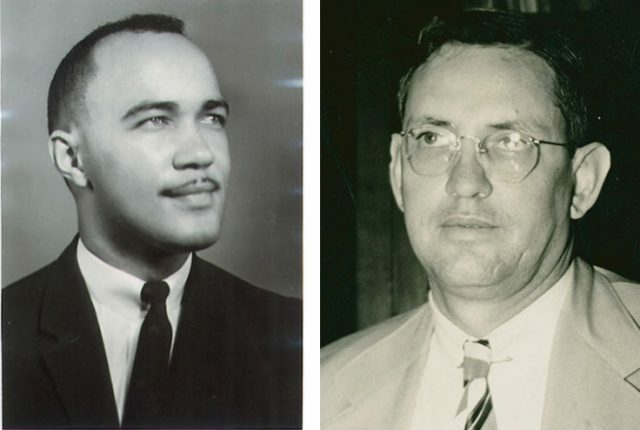 One of the things that happens is first of all, there’s Swett vs. Board of Education which is finally won, the supreme court decision that’s won by Heman Swett along with Thurgood Marshall and the NAACP in the 1950s. So immediately after that we get our first black students at the University of Texas, but they’re all graduate students. And none of the graduate students were allowed to stay on campus until around 1954 or 55 where there was space made in one dorm, which is down by where the San Jacinto garages are for some of those folks. 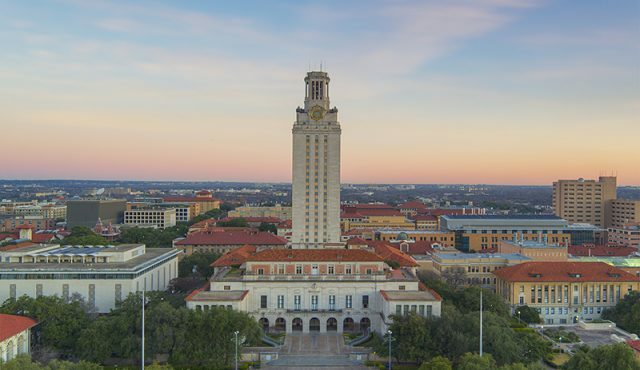 Almost immediately subsequent to that, University of Texas, and this is now after the Brown vs. Board of Education decision in 1954; in 1956 the University of Texas decides to allow the first black undergraduates to come to campus. At that point they had to decide what to do about housing for those students. The decision was made not to offer housing at all to black women, so most black women who came to the University of Texas in 56 lived in a cooperative down on 10th St. on what used to be East Avenue — I-35 has now been placed over 10th St. — in effect the dorm where they lived was destroyed in order to be able to put I-35 through. But anyway it was a co-op, and it was co-op which they shared with women from Huston Tillotson. There were a few black women who were allowed to stay in a co-op, which was across the street from where Carothers is now, where the Belo Communications building is — Whitis House was a co-op in which a small number of black women were allowed to stay, but that was off campus, the University didn’t own it at that point. The University decided to allow some black men to stay on campus, and those folks were placed in basically two dorms that were dorms that had been purchased after World War II as temporary housing for students on campus. They were army barracks that were dismantled and brought to campus and built back up again. So one was placed more or less where the Alumni Center is now, and the other is placed over where the San Jacinto parking garage is. Ironically, in that period of time the Law School had decided to build a new, very luxurious dormitory for graduate students and law students. It was the first dormitory that was air conditioned on campus. It was opened in 1954 shortly after the Brown vs. Board of Education Supreme Court decision and the dean of the law school decided to name it after William Simkins, who was a law professor for 30 years, very well known, but he also was grand dragon of the Ku Klux Klan. 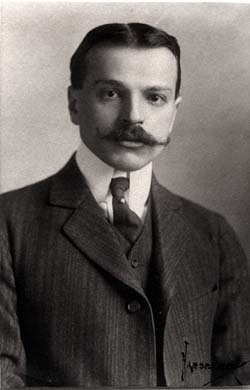 He and his brother, who was actually a UT regent, had started the Klan in Florida. So right after, within weeks to months after the Supreme Court decision, the head of the law school decides to name a dorm after a grand dragon the Ku Klux Klan, and right behind it is the wooden, tar paper shack, army surplus dorm that they designated for black students, two years later in 1956, so the juxtaposition was hard to miss, pretty complete. Let’s finish up with something else that surprised me, the story of the Eyes of Texas, the song that students sing without probably knowing the history of it, so you take the tour to the Texas Cowboys Pavilion, which is also right down there by the dorms you were just talking about. Can you tell us about that site and about the activities there? We cover this in two places. One is in front of the Robert E Lee statue. Robert E Lee, very few people know this, and it does seem strange, but Robert E. Lee became a University President right after the end of the Civil War, so he loses the Civil War and within a couple of years he is the President of Washington University in Virginia, which later became Washington and Lee. He’s the President and there is a young man by the name of Prather who is a law student under him, who subsequently became a President of the University of Texas. Now one of the things that Prather brought to the University of Texas when he came was a saying. Robert E. Lee at the end of every speech he made to his collective students and faculty members would say “The eyes of the south are upon you,” and so when Prather got to the University of Texas he decided to take freely from what Lee had been saying, and at the end of his speeches to his assembled students and faculty members he would say “The eyes of Texas are upon you,” taking it directly from Lee. Students of course found that to be interesting, and they decided to create a satirical song about it that put words to it, “the Eyes of Texas are upon you,” and the words are probably very familiar to many of you who are listening to this, and they put it to a familiar tune, which was “I’ve Been Working on the Railroad,” which actually comes from “I’ve Been Working on the Levee,” which is either a work song sung by black folks or a minstrel song that was developed making fun of black folks, but either one, they took that tune. And then its first performances were in minstrel shows, blackface minstrel shows, the Hancock Opera House down on Sixth Street was actually the first time it was performed, and it was performed in blackface. So it comes from the minstrel tradition, it’s a satiric tune, it plays off Robert E. Lee, and was originally sung in blackface. And how is this connected with the Texas Cowboys? Well the Texas Cowboys are an interesting group. It’s one of the primary “spirit groups” and has been around for many years. They certainly sing the song and all that but one of the things the Texas Cowboys were most known for was they would put on minstrel shows as part of, sometimes twice a year, but almost always at least once a year, during either the fall Homecoming or during the spring Roundup celebrations. And so they would put on minstrel shows, there were comedy shows and musical shows. As many as 60 of these young people would dress in blackface and cavort around. The racism was so extreme that they also played Mexican Americans in blackface. So you have stereotyping and denigration of Mexican Americans in sombreros and serapes and things like that in blackface, as well what they considered to be black people dressed in stripes and other kinds of disparaging kinds of ways, and that went on until 1964. 1964-1965 it was outlawed, there was one final young cowboy who raced across the stage in black face, but there’s been kind of racially tinged play, you could call it, associated with the Roundup for years and years, well through the 1990s. Well thank you for making this history known to all of us in the community, and I think to a lot of people outside the community will be really interested in it. The website will definitely make it accessible for people on campus and off campus too, so thank you and thanks for talking to us today. Well thank you for bringing me in, and thank you for asking me insightful questions, and giving me a chance to talk about what’s going here on campus, or what went on on campus. You can listen to this interview when it is posted (soon!) on 15 Minute History. That website will include further reading on all the topics we discuss.